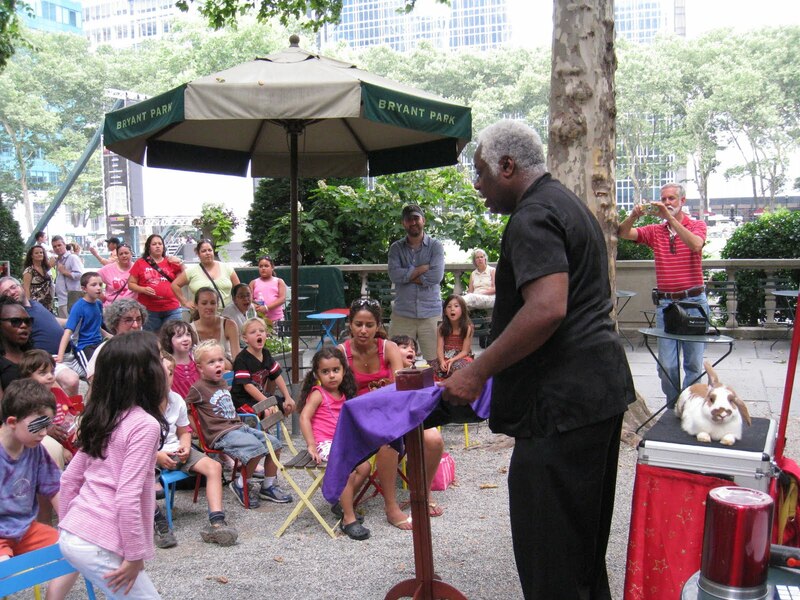 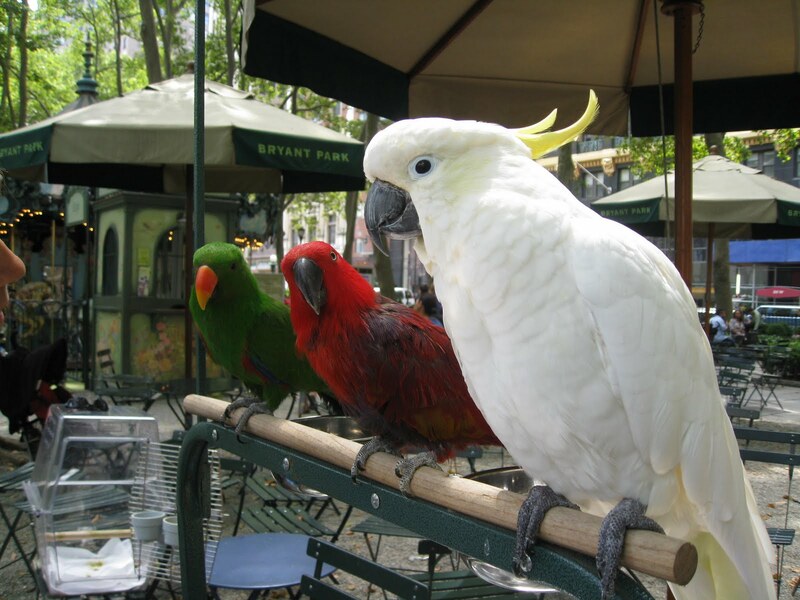 Bryant Park is well known as an office dweller's playground at lunchtime and after work, but we also offer plenty of programs throughout the summer to entertain the park's youngest clientele. 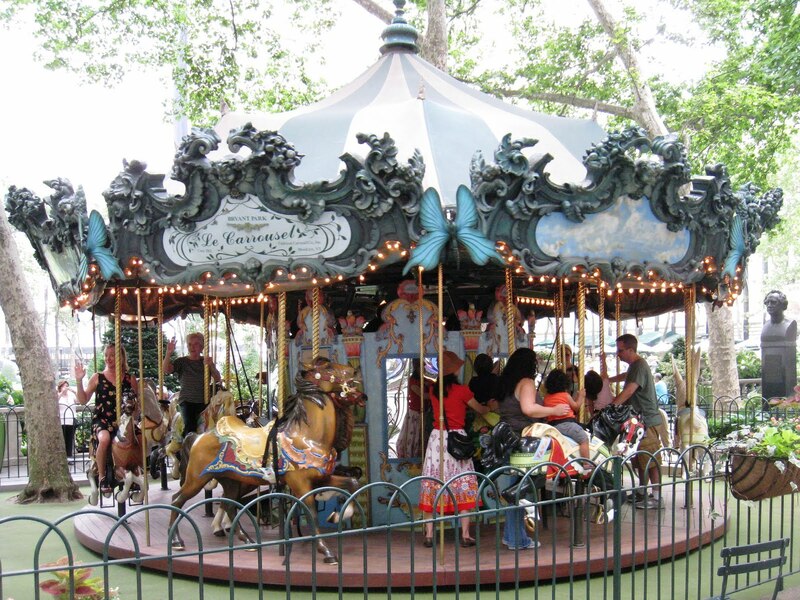 On the 40th Street side of the park, Le Carrousel is a daily destination for $2 rides on hand painted ponies and other elegant animals. or they can dive into a story from our wonderful selection of children's books on our HSBC book cart. or visit on Saturdays to play games, sing, dance, and laugh with the park's mascot, Flaubert Frog. 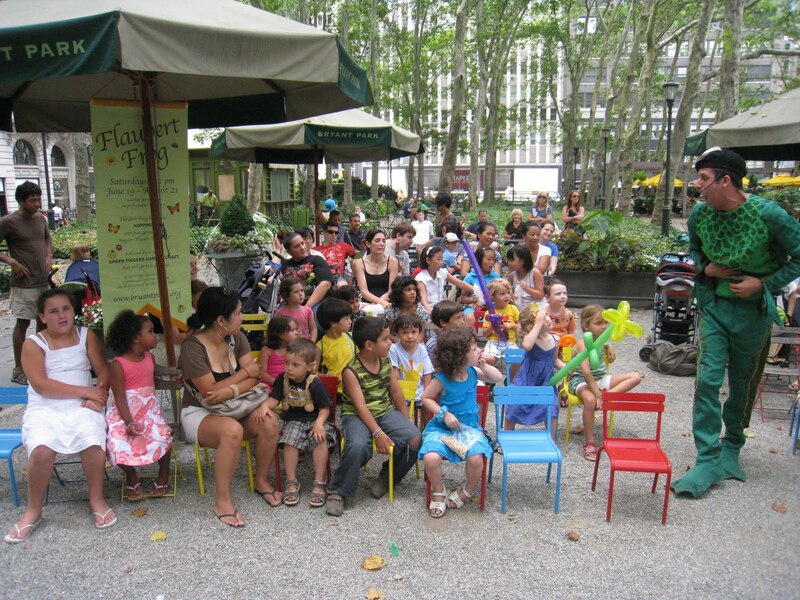 and there are more fun-filled summer programs for kids, like Word for Word Storytime, Word for Word Kids, and Word for Word Theatre, every week at the Reading Room across the park. Visit www.bryantpark.org for more information, including program dates and times.